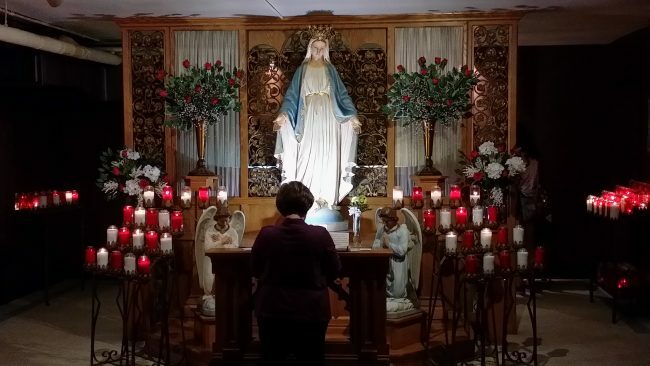 My head and heart are still swirling from my trip this past Friday to the National Shrine of Our Lady of Good Help in the Diocese of Green Bay, Wisconsin. It was my first stop for Marian Pilgrimage: Discovering Mary Across the USA, and it was a doozy in many different ways! 1.”Somebody” doesn’t like this project one iota. The evening before, my website went down and wasn’t fully restored until hours later. Even then, there was still some background work to do on it. As you can imagine, it took a good chunk out of my preparation time as well as my peace of mind. Then, I became ill in the middle of the night. It wasn’t serious, but it was enough to diminish the amount to sleep I was able to get and left me feeling out of sorts. The morning of was a bit rough, with lots of “little things” going wrong.On the other hand, this confirmed the importance of Marian Pilgrimage and strengthened my resolve to carry on the matter what. 2. A key part of Marion Pilgrimage must be prayer – not for myself, but for all of you. 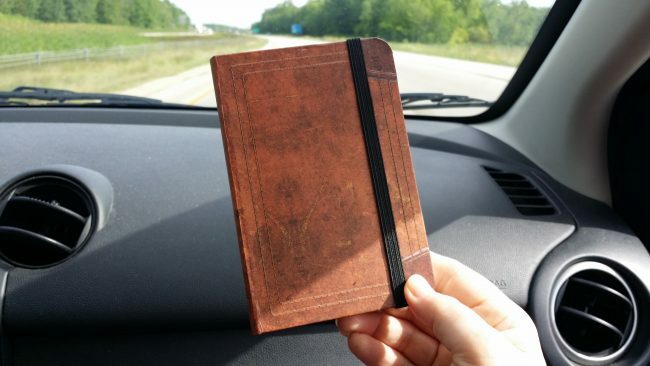 As I’ve done with other journeys, I’ve started a notebook into which I enter the names and intentions of anyone and everyone who would like me to pray for them at the holy places I visit. This project has only begun and already I have a long, long list of names written into my notebook! Even more touching than the numbers of intentions are the intentions themselves. My notebook is filled with heartbreaks, fears, hardships, and sufferings. It makes my backpack pretty heavy, spiritually speaking, and yet I feel privileged to carry you with me as I travel. 3. Mary is calling to us. She’s calling to me, she’s calling to you, and she’s calling to all of her children – which includes all human beings – to come to her, and to rest in her Immaculate Heart. She awaits our visits to her holy places abroad, but also here in our very own country which is so badly in need of prayer, healing. and unity. I’ve written about the shrine itself for National Catholic Register, and that post will appear soon on my blog there. For now, let me share with you a few of my initial impressions of the National Shrine of Our Lady of Good Help. 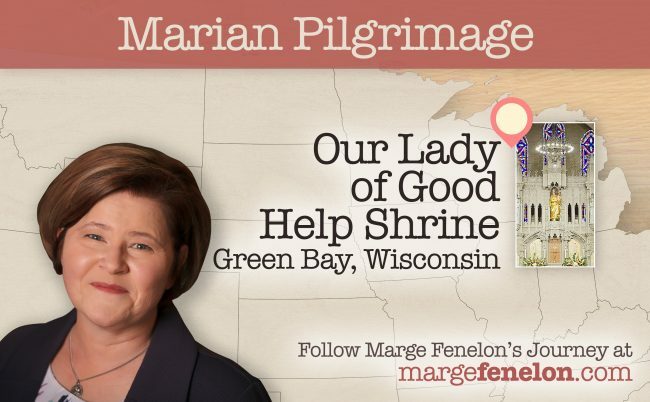 I still find it astonishing that it is the site of the only Marion apparition in the whole United States! 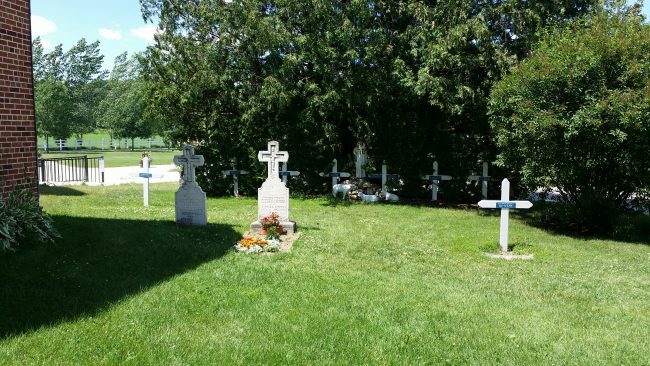 It used to be that visiting a Marian apparition site required a trip abroad. To me, Marian apparitions were things that happened only in other countries. Not anymore. 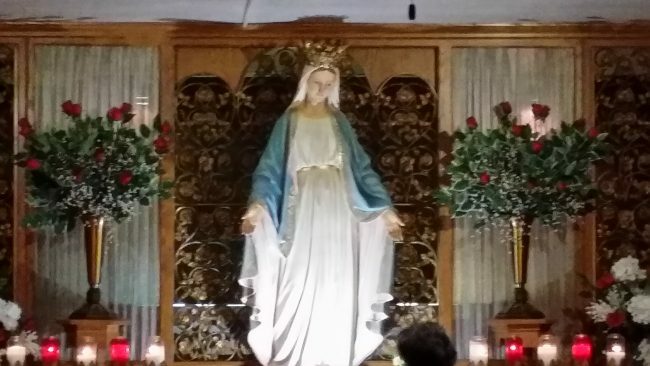 We have our very own Marian apparition site right here! It’s not just the fact that Mary appeared here, but also the mission and message she gave to Adele Brise when she appeared to her. She instructed Adele to pray and offer holy Communion for the conversion of sinners. “Gather the children in this wild country and teach them what they should know for salvation,” Mary said. “But how shall I teach them who know so little myself?” Adele asked in return. Anytime Mary has appeared throughout history, the message she gave was meant not just for that person or those persons, not just for the people of that time, but for the people of all time. It’s the same with the apparition at Our Lady of Good Help Shrine. Mary’s instructions for Sr. Adele are instructions for all of us. That’s something to take to heart in serious meditation! I’ll be writing more about my visit, of course, in my book Married Pilgrimage: A Living Novena but I wanted to share these initial impressions with you so that you could ponder them as well. There also were some fun things about my visit, like having lunch with the shrine’s Events and Communications Coordinator, Corrie Campbell, expert docent Lisa Larson, and author and Mariological expert, Fr. Edward Looney. They shared anecdotes and insights with me about the National Shrine of Our Lady of Good Help and the surrounding area. My husband had accompanied me and that was an added pleasure! 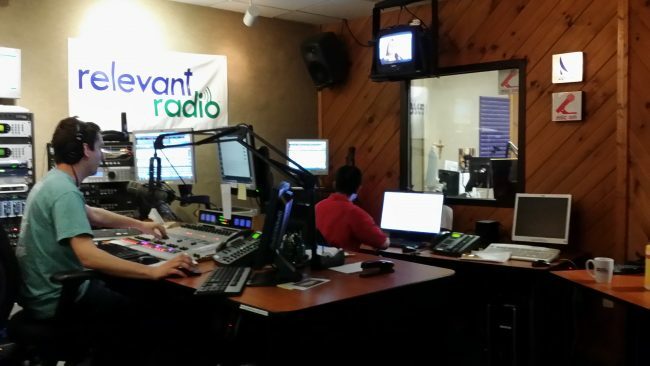 I highly enjoyed doing a live in-studio segment on The Drew Mariani Show. Drew is awesome, and his work is not only fruitful, but vital to so, so many people. 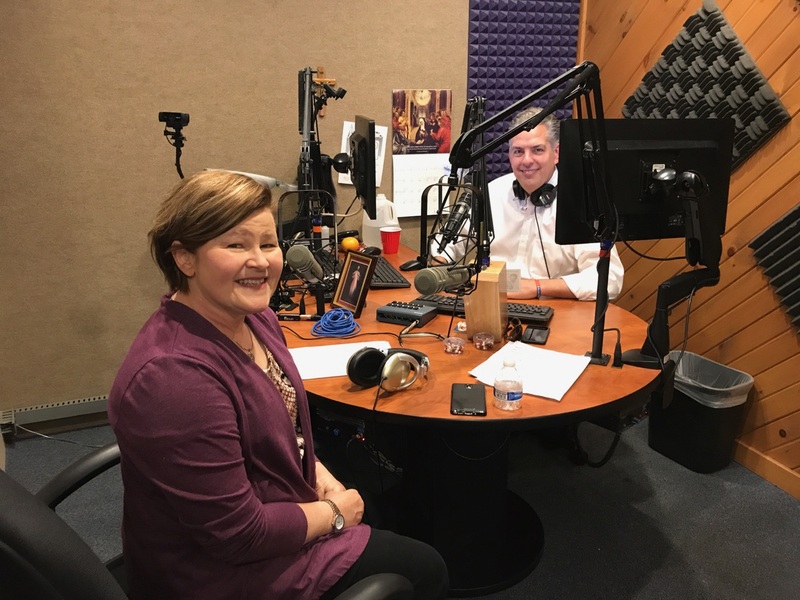 It was a great pleasure to meet him and a special gift to have been able to pray the Divine Mercy Chaplet with him on air. I’m sure that I’ll be writing more about this amazing place where Mary appeared. For now, I think I’ve said quite enough! I’ll be happy to add your name to my notebook the parentheses if I haven’t already) so please email me and let me know your prayer intentions.